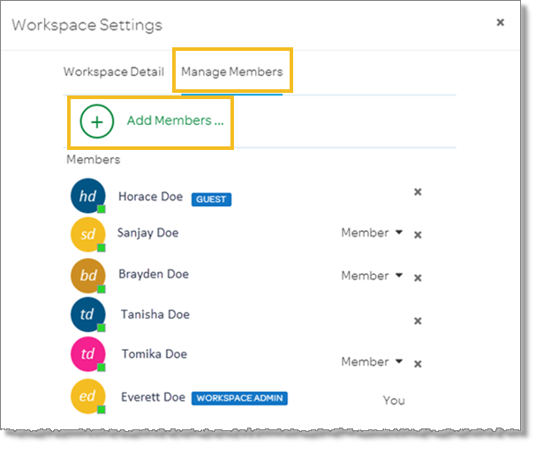 You can add members at any time to a team workspace that you administer. When you invite members, they receive an email with a link that they can click to join the workspace. In the left panel, click the Feed icon . Select the workspace you want to add members to. In the upper-right panel, click the More Actions icon , and then select Workspace settings. Click the Manage Members panel, and then click Add members. Select members from the list, or enter the email addresses of members of your organization that you want to invite to the workspace. Note: You can also enter the email address of someone outside your organization to invite them as a guest. After you’ve selected the members you want to add, click the Close icon . In the Workspace Settings window, click Close. In the Feed panel, tap the workspace you want to add members to. 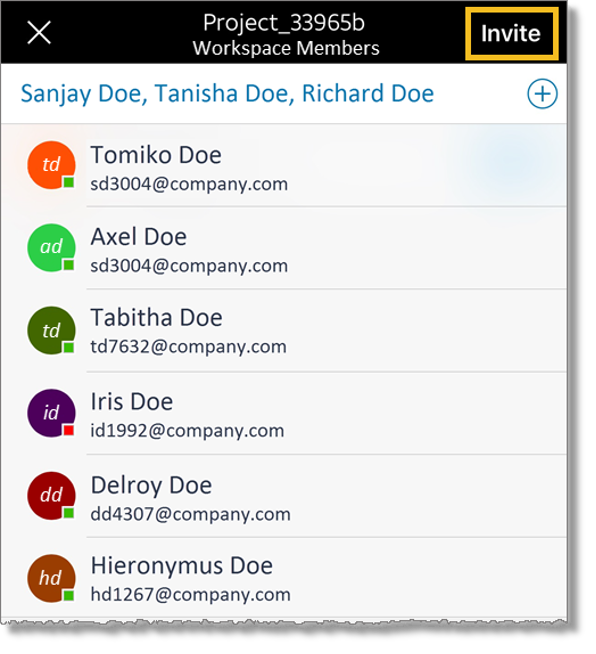 In the Workspace Members window, enter the email address or search for the users you want to add as members of the workspace.